British supermodel Lily Cole, the current face of De Beers, has stated that she is refusing to work for De Beers again, over claims that Bushmen were evicted to make way for future diamond mining in Botswana. Her statement follows lobbying from human rights organisation Survival International. Lily tells Survival, "I was unaware of these matters when I was booked for the shoot." Stephen Corry, Director of Survival International said: "I am delighted that Lily has heeded our advice and understands the human suffering that diamonds are causing the Bushmen. I now urge other models not to work for De Beers. De Beers must realise that the only way out of this is for the Bushmen to be given back their land." Lily Cole is not the first model to quit working for De Beers. Supermodel Iman famously quit as the face of De Beers after meeting with Survival International. Meanwhile British supermodel Erin O'Connor distanced herself from De Beers stating '"I don't think that doing a job like (being the face of De Beers) would in any way add to my life or make me happy. I would make that stand, and say 'no'." This is part of Survival International's ongoing campaign against De Beers in support of the Bushmen of the Kalahari over their eviction from their lands to make way for future diamond mining. 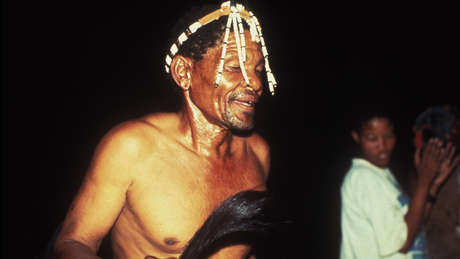 Since the eviction, the Bushmen have been continuously persecuted. Only last month seven were tortured by wildlife officials for hunting to feed their families. Last month Survival and pioneering American feminist Gloria Steinem picketed the opening of De Beers's first US store in New York. Survival supporters urged US celebrities Teri Hatcher and Lindsay Lohan not to cross the picket line. Meanwhile, screen icon Julie Christie has lent her support to the campaign stating: "Boycott De Beers! Or have the destruction of the Bushmen on your conscience."